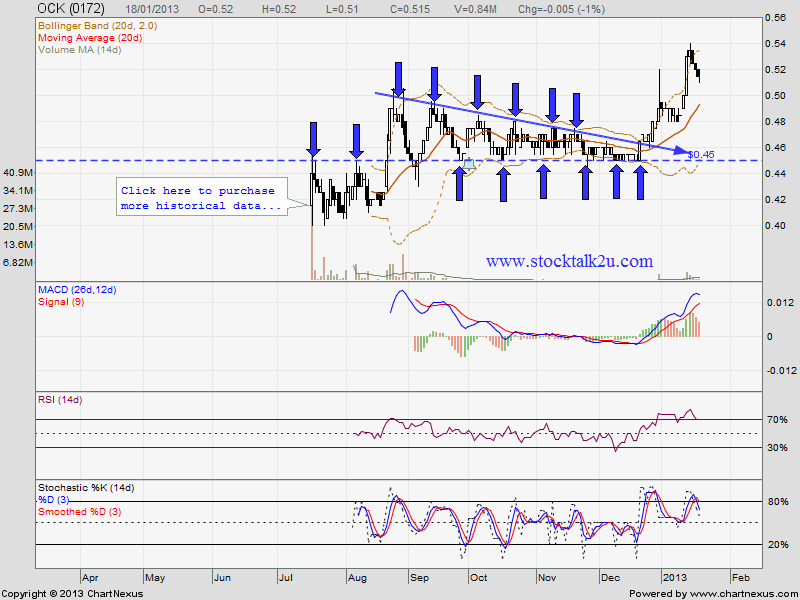 OCK retrace down from RM0.54 high. How low will it go? Will it rebound @ MA20 support level? Stochastic %K on SELL call itineray. 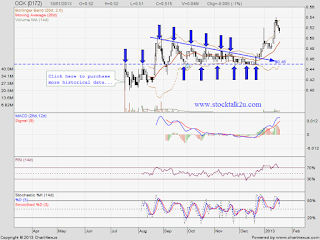 Immediate resistance @ RM0.54 level. Let's watch out reversal signal.